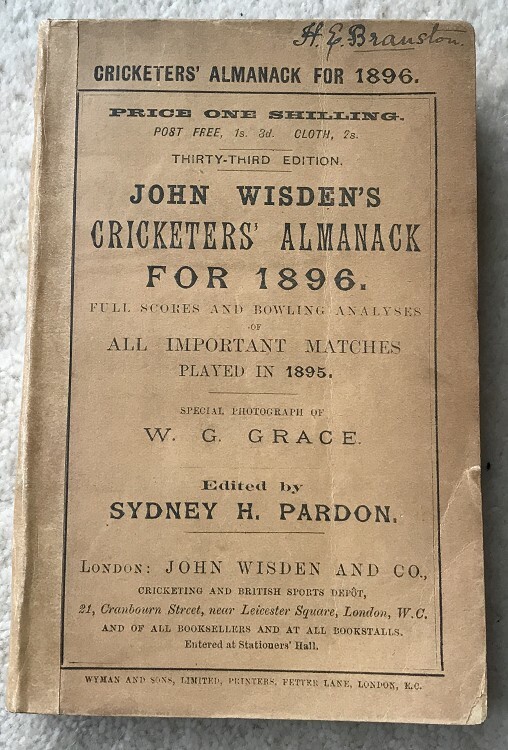 This lot is an Original 1896 Wisden Paperback with excellently made facsimile spine. This lot is in very good condition, nice covers , name to the top of the front cover and some thumbing to the bottom right, the spine and rear cover are superb. Internally very nice, a previous owner has added an extra piece of tissue paper as there is some spotting opposite WGs photoplate. Otherwise nice inside, just a small amount of corner creasing to the first page.